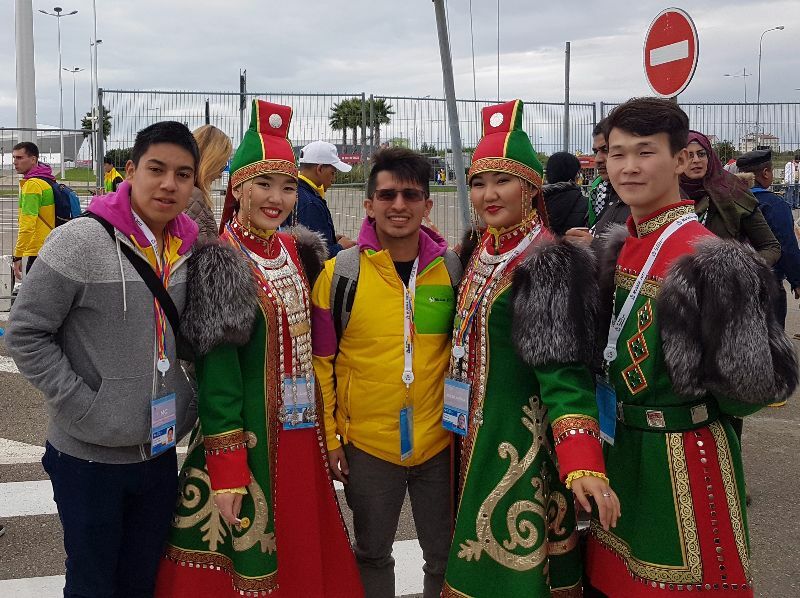 XIX World Festival of Youth and Students was held in Sochi on October 14-22, which was visited by 25 thousand of young people from 188 countries of the world. 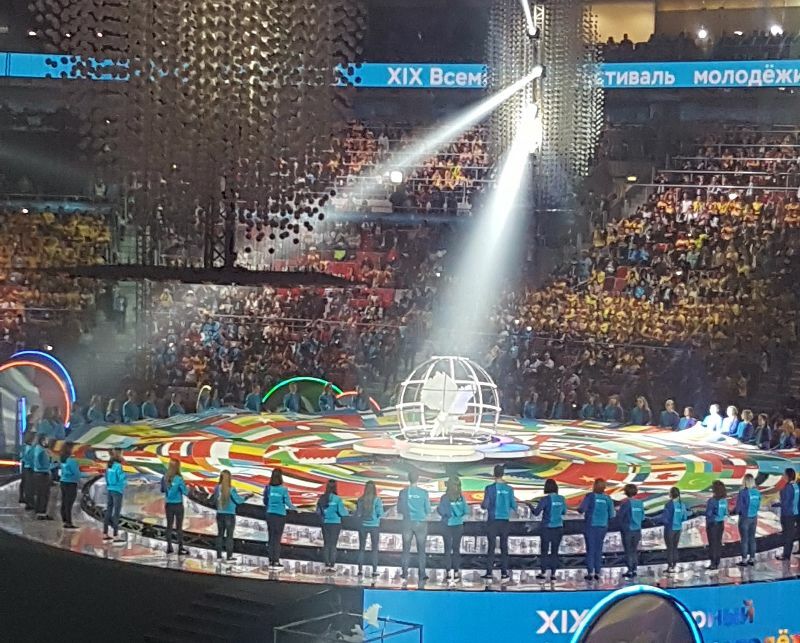 Educational, cultural and sports events, round tables, discussions, concerts of pop singers were held on different venues of the festival in the atmosphere of friendship and solidarity. Foreign students of the faculty of General Medicine of RostSMU Baraah Al Dva from Yemen, Daniel Sepulveda from Colombia and Al Khateeb Jalaa from Syria became the delegates of the World Festival. And after returning from Sochi, the students shared their impressions. 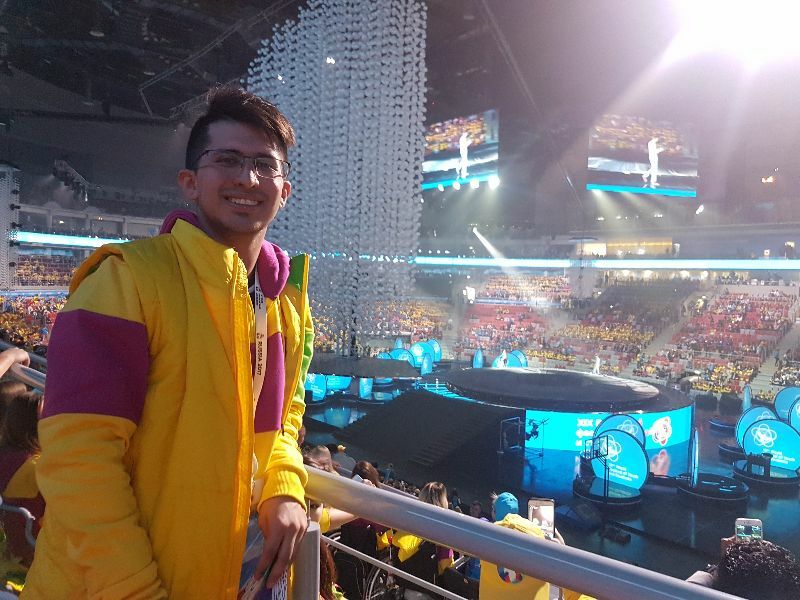 Baraah Al Dva (2nd year student of RostSMU from Yemen): «I’ve never seen so many different cultures and nationalities in one place; thousands of young people from different countries communicated with each other in the atmosphere of friendship and mutual respect. 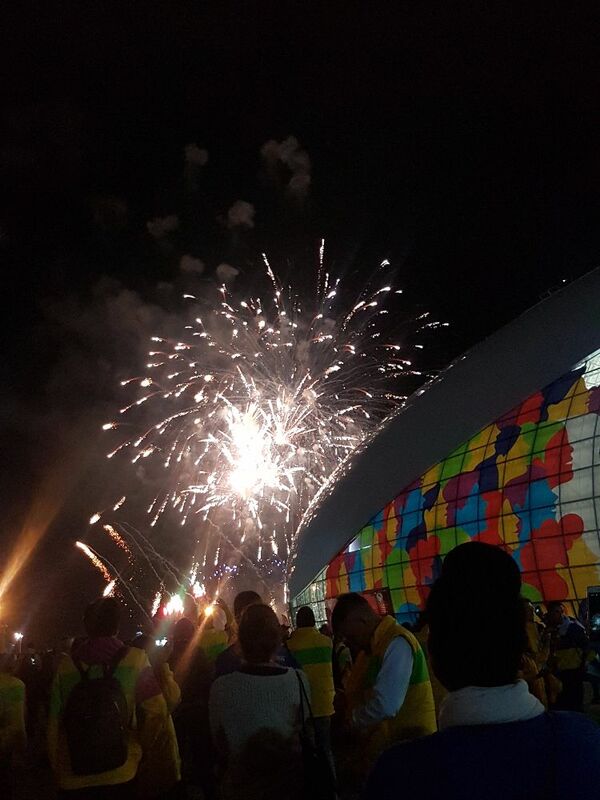 I have been deeply impressed by the opening ceremony of the festival. 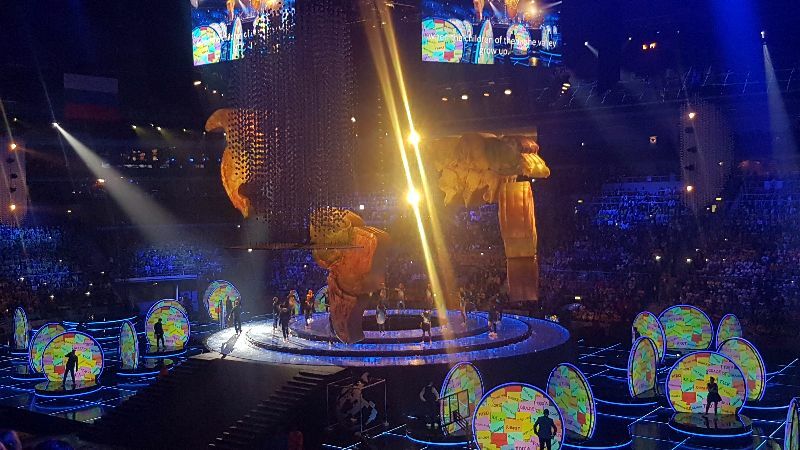 It was not just a concert: the ceremony had a storyline and each performance had a meaning. We saw the world-famous people and pop singers. I also really liked the volunteers. They helped us, always smiled and created cheerful mind. At the festival I visited the main media center, venue of «Ecology and Health», as well as robotechnics. In my capacity as a future physician, I especially liked the robot-surgeon which helps medical students to learn how to do surgery. I’m really glad that I became a member of the world festival». 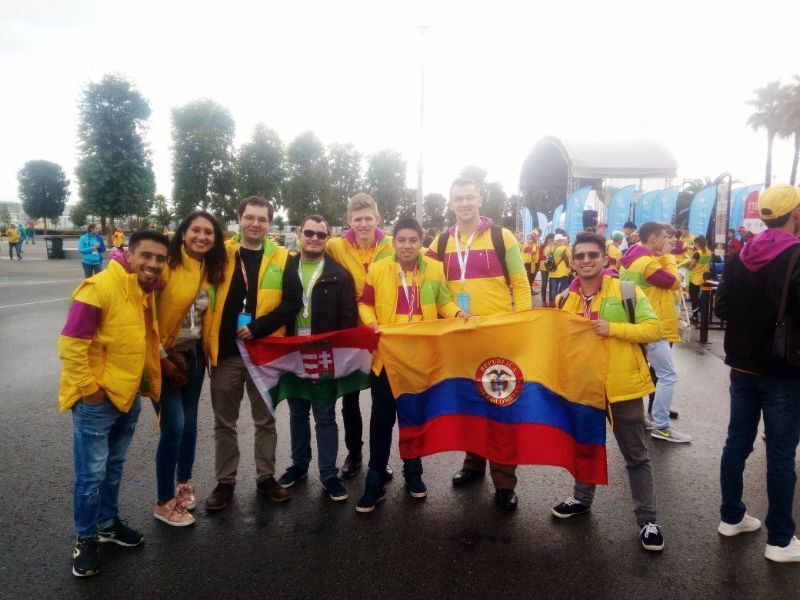 Daniel Sepulveda (4th year student of RostSMU from Colombia) participated in the festival on the youth delegation of Colombian students training in Russia. Daniel Sepulveda told about the festival: «It was fantastic: opening of the ceremony, different venues and sections, interesting events, concerts, sports tournaments. I was impressed with everything that concerned our future: technology, innovation, vehicles, robots, training equipment for medical students to conduct different laparoscopic operations. 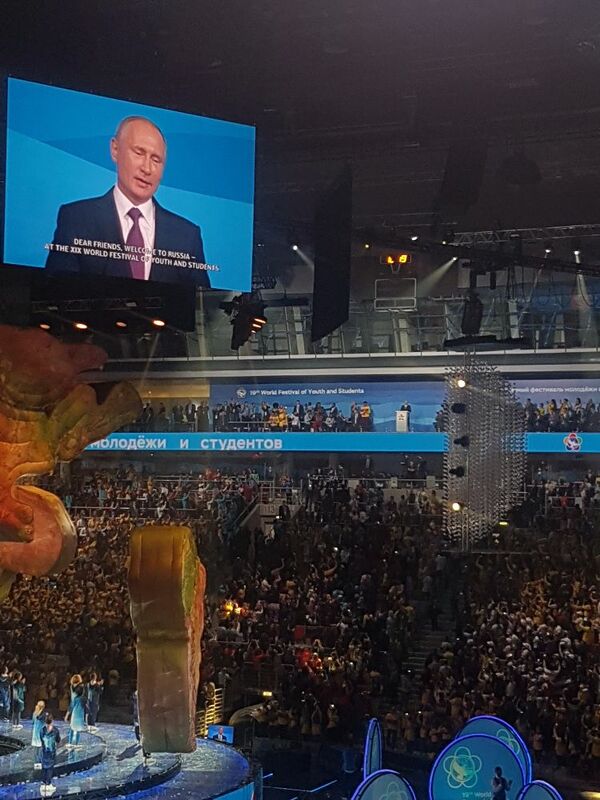 In Sochi, I have seen the President of Russia Vladimir Vladimirovich Putin twice — at the opening ceremony and later. And of course, took photos! 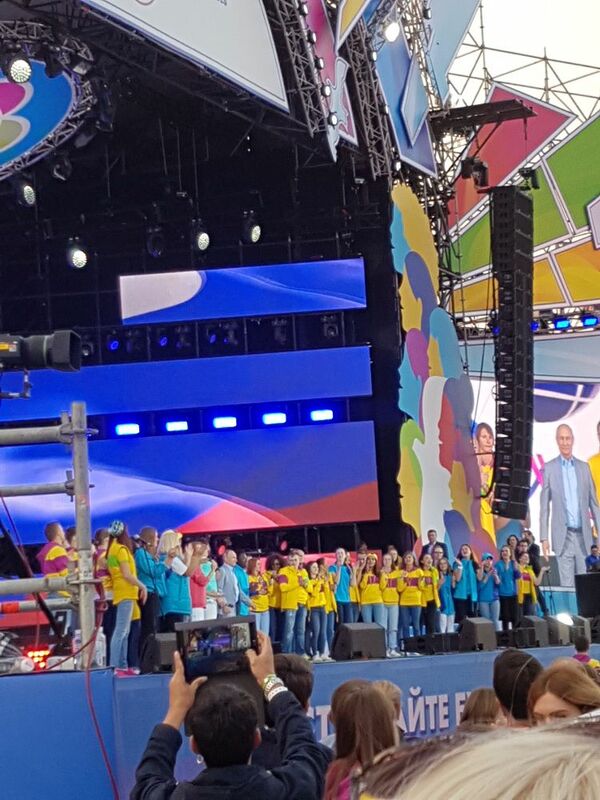 Young people respect the Russian President greatly and we saw that with our own eyes. The President said that the future of the world depends on youth. Yes, the future really depends on us! At the festival, each of us found something interesting, and saw something completely new. 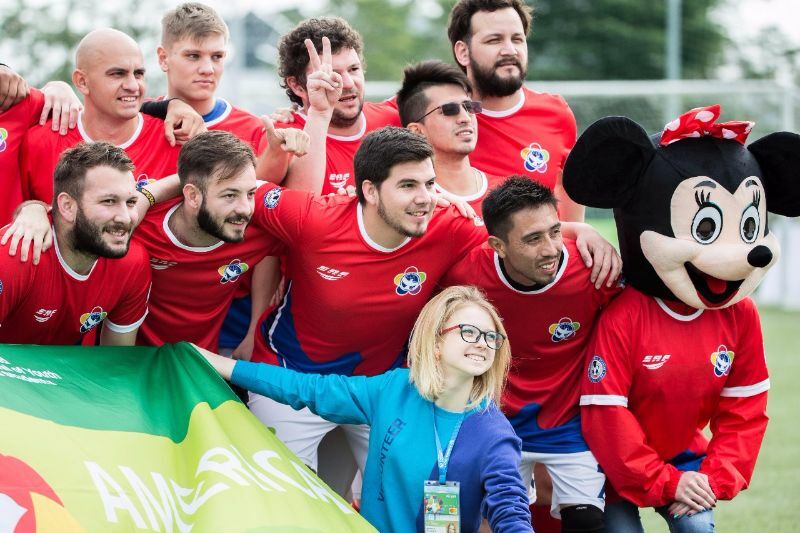 For example, we like football and took part in the intercontinental football tournament «Towards the 2018 FIFA World Cup Mini Football Tournament». 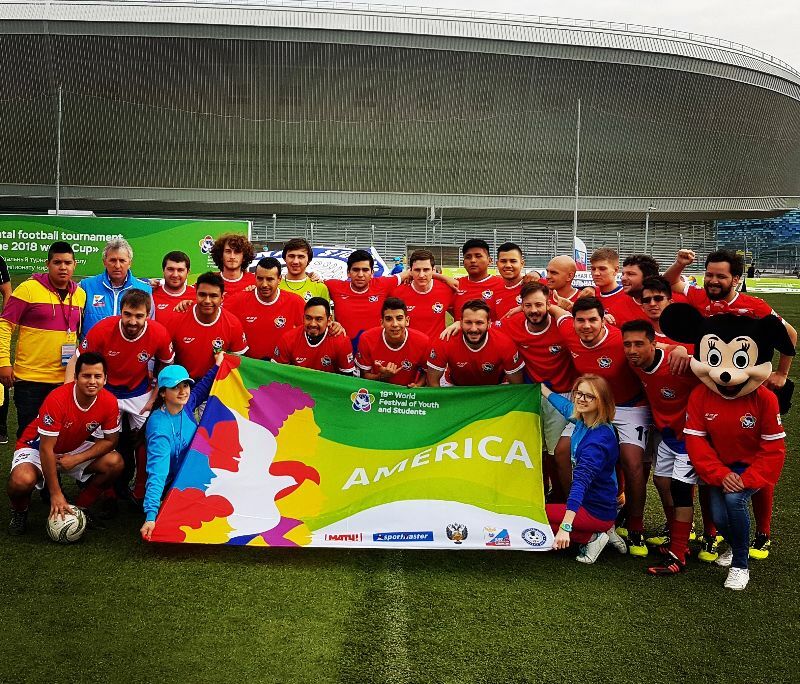 We are guys from Colombia and were in a national football team of America. The team of our continent included the delegates from Colombia, Mexico, Argentina, Ecuador and Panama. 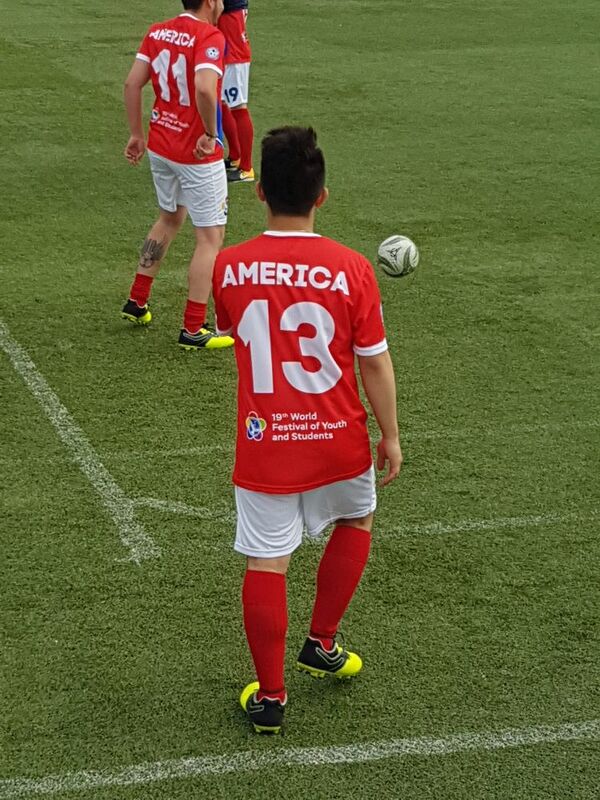 We had a red football wear and played against another team. The atmosphere of friendship was amazing! On the dance floor you could take a master class in Latin-American dancing, rock-n-roll and break dance. I participated in Latin dances master class and had a great fun. I am glad that we could see and hear popular artists at the festival. Our delegation visited the ski resort «Rosa Khutor». But I was mostly impressed with the communication. Young people from different countries asked me about my native country of Colombia. They are really interested in what Colombia is, and everything that I told them about it. Also, I could approach to any man from another country and ask about what I was interested to learn. So, I made friends with the representatives of Yakutia, the Far East, Arkhangelsk, Chelyabinsk – and that is all Russia! Such a big country you have! I also met there a teacher of the Moscow State University named after M. Lomonosov, and we talked freely on various topics. Beyond that I communicated with delegates from Hungary, Guatemala, Korea and other countries. Where else could we meet? It was a free, equal and respectful communication between people of different nationalities and cultures. At the World Festival in Sochi Russia showed the world who she really is. Russia has brought us all together, showed equality and freedom and no matter what race, what nationality you are or where you are from, it is important that you’re human!».